There is something about bunnies and rap that is slightly amusing. I saw the cutest “hip hop a hippy to the hop” printable one year and wanted to make something kind of like that. Do you remember the Naughty By Nature song, “Hip Hop Hooray”? 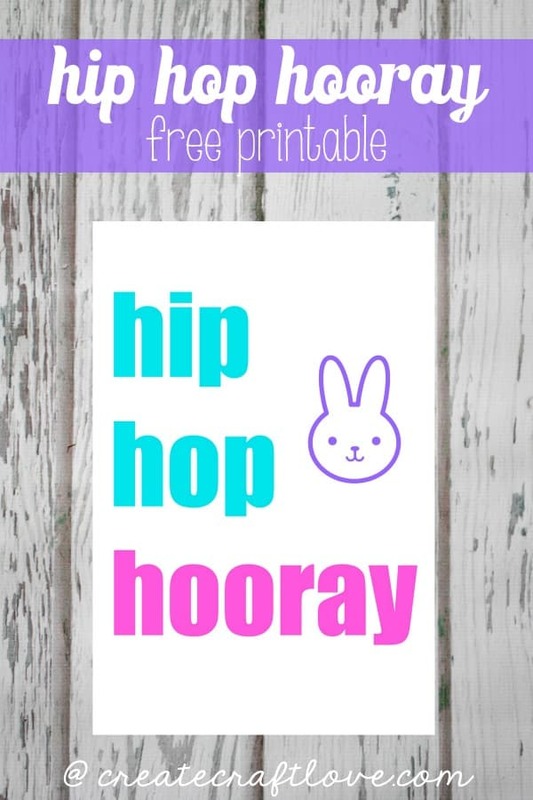 You can use this Hip Hop Hooray Printable as holiday decor or size it down for Easter baskets! Either way, it’s sure to be a hit! It’s simple but cute! Simply, download the image from the link below. You can size the image how you want and then print on white cardstock! Boom. Instant Easter decor!! You know how I love convenience! Click HERE to download your FREE Hip Hop Hooray Printable!